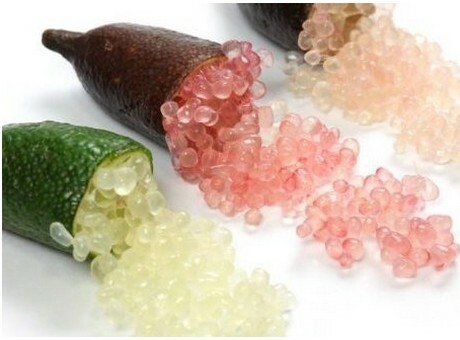 Caviar lime, also known as or Finger Lime, is an edible fruit which is under development as a potential new commercial crop for Morocco. This variety is being cultivated in a farm in the region of Essaouira. This project was set up by Citreck, a company specialized in lemon growing in the Essaouira region. Citrus australasica is a thorny shrub or small tree of lowland subtropical rainforest and rainforest in the coastal border region of Queensland and New South Wales, Australia. Marketed as a local fruit in Australia, it is used as a garnish, added to many recipes or to make jams. The peculiarity of this product lies in its ability to be used for various purposes. Thus, it can be associated with several gastronomic products such as oysters, white fish, salmon or foie gras. It is also used in the preparation of the most sophisticated desserts. This fruit is already provided to great chefs in Morocco, restaurants and luxury hotels. According to an article on https://en.yabiladi.com, this product would be sold at an excessive price of 820 dirhams (€75) per kilo.